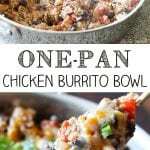 This recipe for One-Pan Chicken Burrito Bowls is one of my new favorites. It’s packed with flavor and so easy to make. I combined boneless, skinless chicken breast, Mexican rice, black beans, and tomatoes with Mexican spices. It’s so delicious and the best part is, everything cooks in just one pan, even the rice. This one-pot meal was a huge hit with my family and it’s faster than driving to get takeout! You can see even more on my one-pot meals here. Find the slow cooker version of this recipe here! 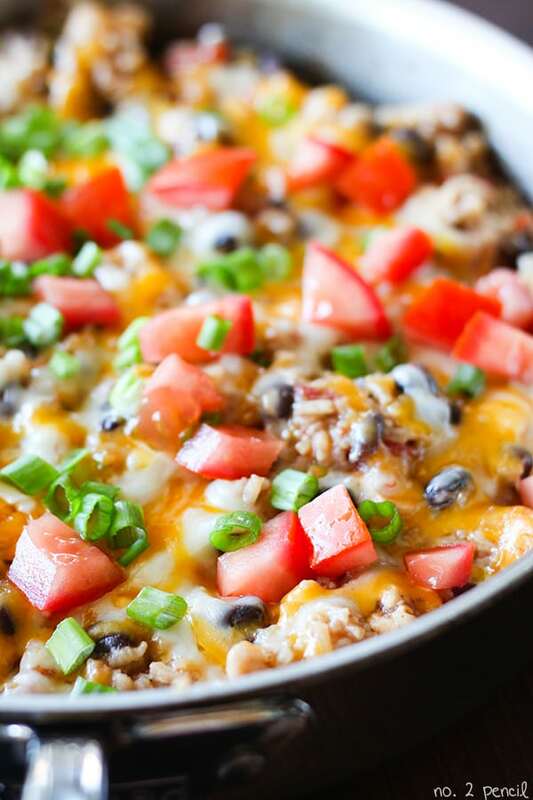 Initially, I was working on developing a one-pan Mexican casserole with rice. When I mentioned my idea to my husband, he said, “Sounds great, like everything you would put in a chicken burrito.” So I thought that was a much better name and described the dish even better! We served ours in bowls, but this dish would be amazing wrapped in a tortilla. A quick way to make homemade chicken burritos! Start by sautéing onions in olive oil, then browning the chicken. The chicken doesn’t need to cook through completely at this point, it will continue cooking later. 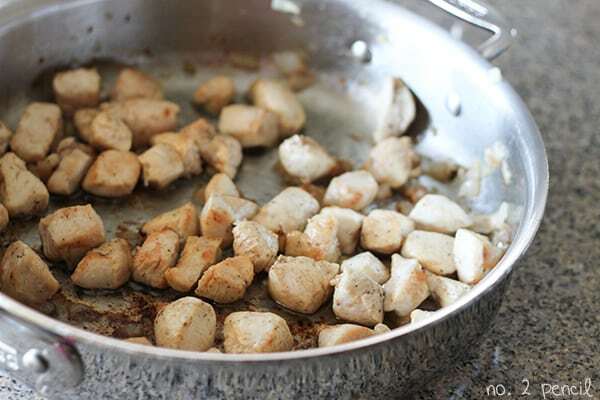 Once the chicken has browned, push the chicken over to one side of the pan and add another tablespoon of olive oil. Saute the uncooked rice in olive oil until slightly toasted, just a minute or two. Sautéing the uncooked rice is a key step in making homemade Mexican rice, so make sure not to skip this step. It prevents the rice from being too starchy and sticky. Remove pan from heat and sprinkle with cheese. Recover and let dish stand for a few minutes until cheese melts. Garnish with fresh tomatoes and green onions. Finish with fresh guacamole and sour cream. I had a million ideas for this dish, and I had a hard time narrowing down the combination of ingredients. Everything sounded good to me, but I ended up with a combination I thought would be the most kid-friendly for our family. In the recipe, I’ve listed possible variations just to mix things up! Never enough cheese:0) Thank you!!! Sounds DELISH and so adaptable to so many uses and variations. Bowls, burritos, adding peppers, corn,avocados, etc. How many does this serve? I’m making dinner tomorrow night for my family (5 adults) and this looks soo good. Would this be enough or should I double the recipe? Could always serve with burritos or soft tacos if not enough I guess! It was so good!! Didn’t have to double it, was more than enough for everyone. I served it with cornchips and burritos. We used to live in the U.S (we’re from New Zealand) and my Dad said this was the best thing he has tasted since Chipotle (NZ hasn’t quite mastered mexican yet). We can’t get a lot of the ingredients you guys can over there, so this was really good as everything was the same apart from the cheese. Thank you!! I made this tonight for dinner, and my husband and son loved it! It will definitely be added to our rotation of favorites. I added ortega chiles with the sauteed onions, and topped with cilantro in addition to the green onions. So delish! Can you use brown rice?? Brown rice takes much longer to cook, so you would really have to experiment with ratios, cooking times and products. You may be able to use a par cooked brown rice. Mine is still super soupy after 25 minutes. Any suggestions? I would recheck the steps and make sure you drained the tomatoes and beans. Don’t forget, the recipe calls for uncooked rice. The rice cooks in the broth. I have drained everything, but put in brown rice and its been longer then 20 mins and its still soap so letting it cook longer. I just made this with brown rice and had the same problem. I do not recommend making with brown rice. It take much longer to cook than white rice. I make it with brown rice all the time, it works great, you just need to simmer for 40-45 minutes until it’s not soupy and the rice is cooked. This looks amazing! I am scoping out recipes that I can easily convert to vegan and this would work great! Just substitute vegetable broth, tofu and hold the cheese! Could you use rotisserie chicken in this recipe? Sure! I would just stir it in at the end since it’s already cooked and adjust the rest of the steps accordingly. How could I do this with quinoa? Just made this tonight, delicious! Served with Greek yogurt in place of sour cream and over chopped romain lettuce! Thanks for the great recipe! Aloha. I made your recipe tonight and it is a hit, especially with my sometimes picky nine and seven year keiki. Mahalo for this recipe and sharing. Pleeeaaaase make a crock pot version of this! Both times I’ve tried this it has been awesome, but I also burned it both times. My stovetop can’t handle it! Any ideas for how to make this in the slow cooker? Please make this into a slow cooker recipe! I’ve made it twice and burned it both times. My stovetop can’t handle the delicious ness! Pretty please? I will try making it in an electric skillet. My stove gets very hot also! Do you think you could freeze this? I am looking for something I can freeze to take camping then throw on the fire in a pan to reheat and serve. Obviously added the cheese and other garnish at the end of reheating while camping. This freezes really well. It makes a ton, so last time I froze half and then defrosted and used in enchiladas. It was delicious! I made these for dinner tonight. We just finished eating and I had to post a comment and let you know how unbelievably delicious these were. I used sirloin tips and fire-roasted tomatoes and served them in warm tortillas and they tasted as good as anything I’ve had in a restaurant in forever. And the best part? Even my picky eater ate! Thank you so much! Yum, made this last night with a few substitutions – I added corn, used only 1 cup cheese, and used only 2 cups chicken broth (just in case!). Also, I used the Kroger brown rice and it came out great! Thanks! Did you cook it for the 40-50 minute then? I want to try it with brown rice too. Thanks! My family loved this! So easy to make! I substituted real garlic for the powder and I think it gave it good flavor. Thanks for the recipe! I’ve made this three and it is so delicious and easy to put together. One of the times we even used leftover rotisserie chicken and it was perfect–even faster. Mine was “soupy” as well (even though I drained both the tomatoes and beans) so the second time I only used 2 cups (actually a little less). I’m thinking it might have to do with the juiciness of the chicken. I just turned up the heat and tad a kept an eye on it for 5-10 more minutes and it was perfect! Thank you for sharing! 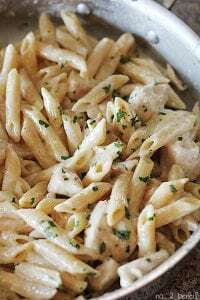 Im a newly wed so im still learning the whole cooking thing, and this recipe was fantastic and easy to follow! I love the recipe and it looks mighty delicious! Check us out at AllFreeCopycatRecipes.com for great recipes from other bloggers. We would love to link out to your recipe and send some of our readers your way. I made this tonight and just wanted to thank you – it’s beautiful, extremely tasty and tastes authentically Mexican. I didn’t have chilli powder, so used a sprinkling of chilli flakes. To keep it light I just grated a very small amount of cheese over the dish after it was in the serving bowls, then topped with the chopped tomato and shallots and added some sliced jalopenos. Thanks so much, it’s earned a prominent place in my recipe folder! The mixture should be on the moist side. The rice isn’t meant to be dry and fluffy, something similar to jambalaya. 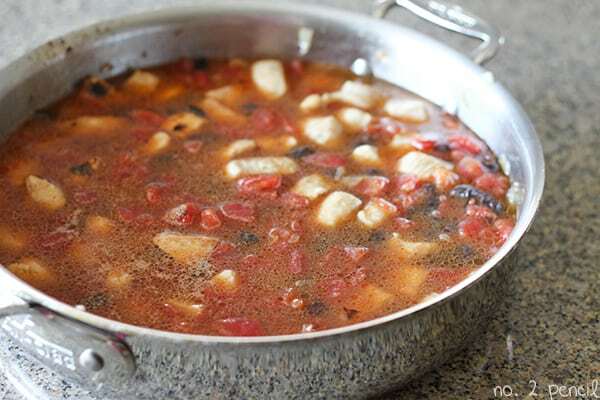 If you have extra liquid, you can simmer the mixture uncovered for a few minutes and that should do the trick. I made this Saturday night for dinner, my 19 year old daughter, who hates EVERYTHING, especially leftovers, devoured this, ate ate the leftovers in tortillas for 3 days straight. Today, Tuesday, she asked me to make it again! The only change I made was tripling the seasonings! Yay! A keeper! I made this tonight with brown rice and fresh tomatoes instead of canned. It took about an hour instead of 20 minutes, but it turned out delicious. Thank you. I made this tonight and we LOVED it. I also added red bell pepper, green chilies and some Chipotle pepper powder for a nice smokey kick. I can’t wait to have left overs tomorrow!! Just made this and very yummy. Put my own twist by using fresh tomatoes instead of canned. Then added fresh corn and cilantro the last five minutes. I also used quinoa instead of rice. One last thing was squeezed fresh lime juice on serving, gave it that extra zest! Very good!! I made this tonight. EVERYONE LOVED it. We put it in flour tortillas with a bit of cheese, fresh tomatoes, cilantro and guac….it tasted like chipole to us. THANKS for a YUMMY recipe! Delicious!!!!! Thank you for the recipe! Made this for the first time a couple nights ago and is now one of my favorite easy dinners by far! i made the addition of a can of Hatch green chiles for a little extra spice and they were fantastic. Thank you so much for the recipe and inspiration for future meals! Thank you, Alyssa! So glad you liked it! Would you happen to have the nutrition facts for this? Thank for asking, Hannah. I don’t right now. Hopefully that is something I can add to my site at a later date. In the meantime, I know some people use online nutrition calculators. Hi Melissa! Is it possible to double this recipe and cook it in a large stockpot? I am concerned that it may affect cooking time. Thanks! You can double! I made a triple batch recently to send to a friend. Browning the chicken will take longer, but the cooking time of the rice will stay the same. This tastes great! But mine took a really long time to cook…definitely over an hour. Still delicious. Thanks for sharing this recipe. Did you use brown rice? It takes much longer to cook. Thanks for the comment! Thank you so much for this easy, delicious recipe! I made it last night for my family and we are eating leftovers today. It is fantastic! It is kind of like a homemade Chipotle burrito bowl, which is my favorite. I used 1 can of chicken broth which was perfect, and I used a packet of taco/fajita seasoning which made it even easier. I will definitely be making this recipe again! I made this tonight for my family of five and EVERYONE loved it! Crazy when that happens. Most of us rolled up in soft tortillas but my husband ate on tortilla chips like nachos. I think I counted him saying “this is delicious” six times! Thanks for this easy, yummy, family-friendly recipe. Could I use seasoned ground beef instead of chicken? So I tried this last night. I didn’t add the cheese, I put in a whole onion, and added 2 jalepenos and a regular pepper. It was so good and a bit vamped up with the veggies. I loved it! just made this tonight – and my husband and I LOVED IT! I also loved how easy it was to make! One tip for people who mentioned that it took longer to cook: once all the ingredients are added together in the skillet – bring ingredients to a boil for a few minutes and THEN lower the heat and simmer on low. I think that will make a big difference. This dish was amazing, I didn’t know my mom had two kinds of rice, regular and minute rice and I used gre minute rice but it still turned out perfect not soupy at all! Will definitely make tha again! tried this for the third time in about as many weeks and sensational again! made this recipe today and my family loved it! I used brown rice and added the corn and some green chiles and because we like it spicy, I used hot habenaro cheese. Made this for my family tonight!!! It was awesome!! I’m thinking about adding some diced green chiles the next time I make it instead of the chili powder. Thank you for sharing this awesome recipe!! I love this recipe! Thank you so much for providing such a tasty dish! One question- tonight it had bits of uncooked rice- it cooked the whole 20 minutes and I stir fried it as directed. Any thoughts on why this would happen? Did I stir fry it too long? Or maybe the rice is too old? Just thought I’d pick your brain! Thanks again! This looks to be a great Recipe!! I want to make this for my Sons Graduation Party, we are expecting 150 and I want to make this ahead of time, not sure how much of everything I will need and what would be the best way to cook this wonderful dish!! I do have a large electric roaster could I make this in that? If so could you give me suggestions as to how to go about it? I think I will be adding pre cooked chicken to the rice mix! I just found this recipe and will be making it in 2 days so if you could respond with helpful tips that would be so awesome!! 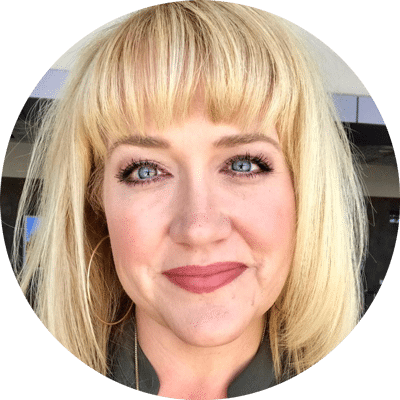 I cant wait to look at the other wonderful Ideas you have… I am having a taco burrito bar or the Grad Party!!! Thank you again so much!! OMG. So delicious! I topped mine with olives, homemade salsa, and guacamole. Even my mexican food hubby thought it was great! Could I use barley in place of the rice?? (With adjusted cooking time as needed) I am trying to find ways to use an abundance of barley. Thank you — this recipe will be a hit with my hubby. OMG! This dish is amazing. I now have teenagers from two Brooklyn apartment buildings coming over when they find out I’m making this! I made it with steak stir fry bits and everyone loved it. The teens said “It’s bangin’!” I now have to have TWO pans going when I make it. THANK YOU! FINALLY something everyone likes! This has become a staple in our house (we omit the chicken, though). It’s such a great recipe and one of my very favourites! Thanks so much! Thank you, Emma! I’m so glad! This recipe has become a huge favorite of mine! have you ever tried freezing this, or portions of it? Id like to make while we are camping but debates cooking the chicken and rice (separately) and just freezing then adding the other parts in at the campsite (obviously with less liquid at that time). Do you think that would work? Just picked up the ingredients…had to make a special trip by bus but I can’t wait to try it…lol. Looks so yummy! I made this tonight and it was delicious! I used brown rice instead of white, and cooked it 40 min instead of 20 min with the same broth ratio and it came out great. Also I added a small can of diced green chiles to add a little kick. Is everyone using regular rice or or minute rice? The recipe calls for extra long grain white rice, uncooked. Not minute rice. Hope that helps! Thanks SO much…duh. I see that now! Very good! I will make this again! Fantastic! I made this tonight – I used Safeways fried chicken because it was a on sale . Four legs and four thighs for five bucks. I removed all the breading and stripped the meat from the bone. It was good! I put just a bit of shredded cheese on each serving, not nearly the amount called for and didn’t miss it. My daughter loved it too. I will make this at the family cabin where we feed a crowd. The price is right, too! My sister and I were just talking about my Grandma’s chicken and rice recipe and how we’ve both tried to make the dish but haven’t gotten it right. It is a completely different dish – involving a can of cream of mushroom soup and celery. This dish reminded me of my grandma’s. I think the secret is browning the raw rice and cooking it in broth – it gives the rice a depth of flavor. Thank you! I made this for dinner tonight and I had to come here to say thank you! So quick and easy to throw together and it was soo yummy!! This recipe is amazing! Absolutely love it, especially when its in a wrap. DELICIOUS! GREAT idea – delicious – used ground turkey cause that’s what I had. Loved this and so did the fam! Thanks! Made this for dinner last week. Everyone in the family gives it two thumbs up. The only thing that didn’t work out well was that my rice was a little crisp and we cooked it longer than stated but I’m pretty sure it was user error. I didn’t saute them long enough. We also added thin tortilla chips for a little crunch. 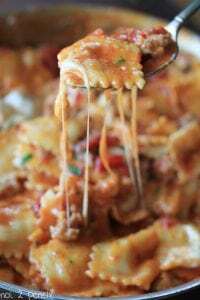 Super good and a recipe we will make again and again. That sounds great, Jesseca!!! Thanks for the comment, so glad your cute fam like it! I want to make this tomorrow but I don’t have the right beans. I only have refried beans… and I read through ALL the comments in hope that someone else might have used refried beans…. but no one said anything about it. Do you think I could use refried beans?! I’m not sure they would work the same. I would recommend skipping the beans in the recipe and serving the refried beans on the side. I made this on Sunday – it was amazing! All 4 of the kids, even the 4 year old, had more than one portion. I’ve also plugged you on my FB page, direct link to here, all credit to you. Thank you so much for a new favorite! If you want to make this recipe be sure you do not deviate from the specified rice. I tried this with jasmine rice and it did not soak up any of the chicken broth. It remained uncooked and everything was very soupy. Others seem to have had the same issue with brown rice. I didn’t realize different rices absorbed liquid differently! The process was super easy and the recipe looks very promising, just be sure to use the correct rice!!! I have made this more times than I can count. Found this page over a year ago, and this recipe (lovingly nicknamed “schlop” in our family) is now a favorite staple for dinner! Thank you! I made this tonight! We don’t like black beans, so I subbed pintos. It was FAB-U-LOUS!!! Thank you for the delicious recipe! This is my second time making this meal and without fail it turned out amazing. 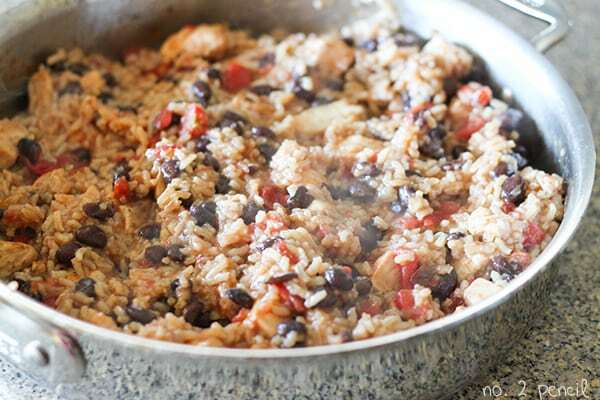 My husband isnt a fan of one pot meals or anything that has a hispanic name to it, but he is sold on this recipe. Pairs perfectly with an avacado, just heavenly. Thank you so much for sharing this recipe with us. This was delicious! Will be making this again. Great recipe! I added a chopped chipotle for a little kick. We loved it! Two years too late? I hope not! This is soooo good! Only thing I did different was use brown rice and cooked for about 40 minutes once I added the rice. Also squeezed half a lime in during cooking. Delicious! Thanks for the recipe! Great recipe. Made last night for three adults. Had enough leftovers for dinner the next night. Thank you very much! has anyone used 5 minute white rice? I have made this recipe several times and decided it was time to leave a comment. This dish is delicious – great flavors that compliment each other. We even like it just as much the next day. Believe it would be good served in a flour tortilla for a change. Wouldn’t change a thing. That’s so nice! Thanks Pam! It is one of our favorites too. This meal is Ah-Mazing! My family loves it. I typically double it and freeze the leftovers. It freezes wonderfully. I also like to add ingredients based on whatever is in the pantry. A can of Rotel, pinto beans, corn, etc. It all mixes in great and helps the meal stretch even further. I love that I only have to use one pan and cook one time to make a great meal for my family that we can have multiple times. Yum! 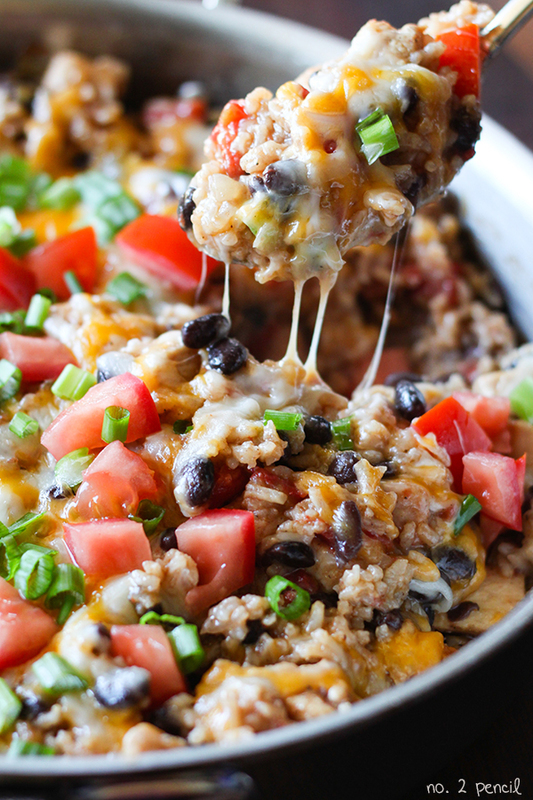 OMG, this One Pot Chicken Burrito Meal is absolutely AMAZING!!!! Better than any Mexican restaurant meal, thanks so much for sharing this recipe.!!!! We love this! It’s amazing and have made it several times. I have also passed it on to some friends. Am I making it up that somewhere I saw slow cooker instructions for how to cook this? I can’t find it anywhere and would be perfect to set up before we head out!